I cook for an army…every time…even when I’m cooking for two. This recipe was no exception. So here’s my logic. 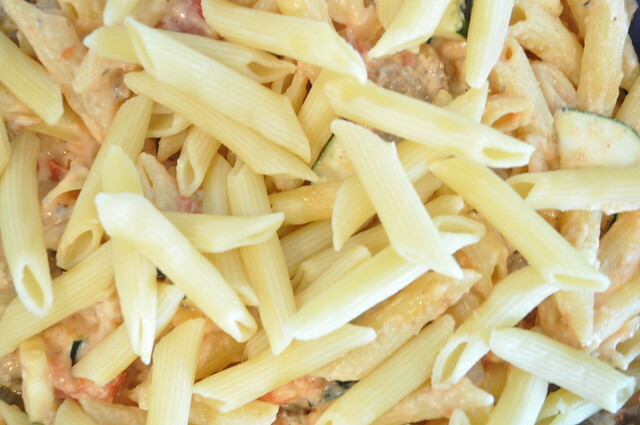 I never ever want a half bag of pasta in my pantry. It’ll likely be stale and thrown away the next time I clean out my pantry. I generally buy sausage by the pound, I will absolutely positively forget about the two lonely sausages leftover from this recipe. Same goes for the onion. I use them all of the time, but I never think to look for a halfer in the fridge, instead I start a new one from the pantry. The reason I tell you this is because it is great to know what recipes you have to be a stickler with and which ones give you wiggle room. This gives you wiggle room. Lots of it! 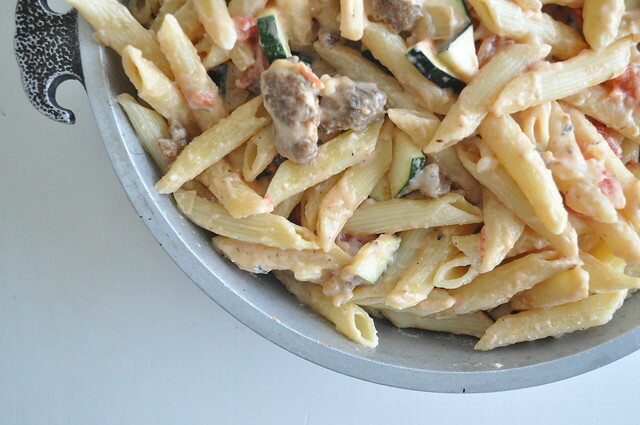 I used every bit of sausage in the pound, pasta in the package and the whole entire onion. Because I was adding so much I doubled the sauce and veggies and made a deliciously oversized dish. 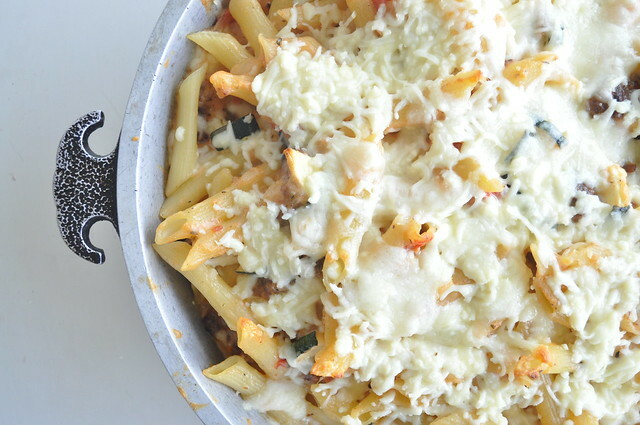 Perfect for putting 1/2 of it in the freezer for a rainy day reheat. The recipe below is the original. Feel free to tweak it like I did! 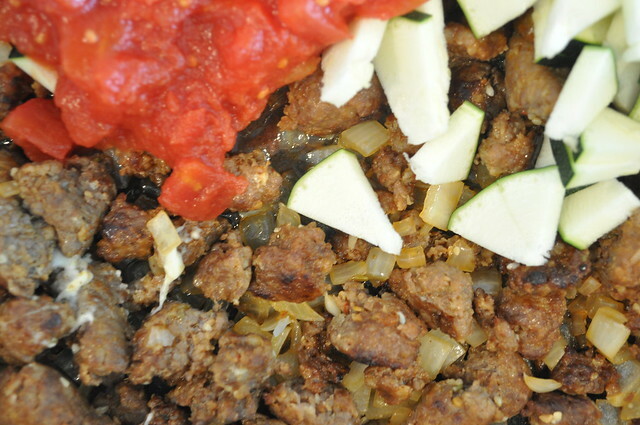 Cook sausage, onion and garlic in skillet until sausage is brown and crumbly. Drain then set aside. 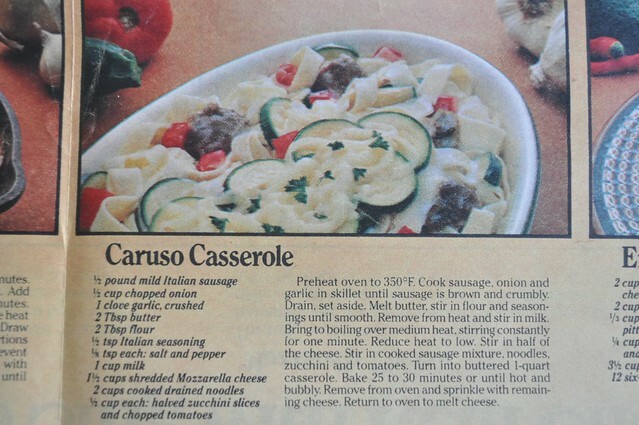 Remove from oven and sprinkle with remaining cheese. Return to oven to melt cheese. 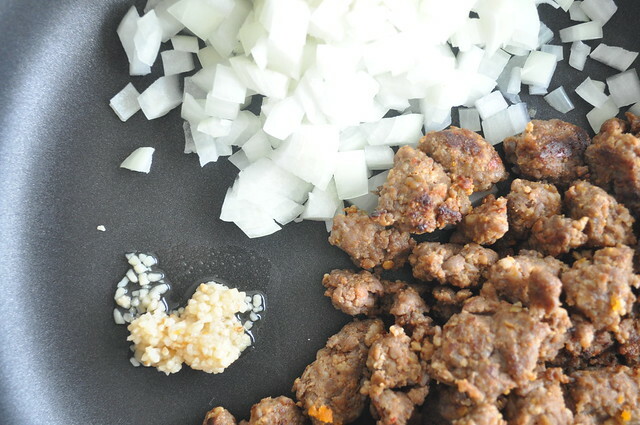 I pre-browned the sausage because I knew I’d be rushing to get the recipe ready in time for dinner the next day so you can do it my way, or as described below which would mean onions, garlic and sausage all start at the same time. 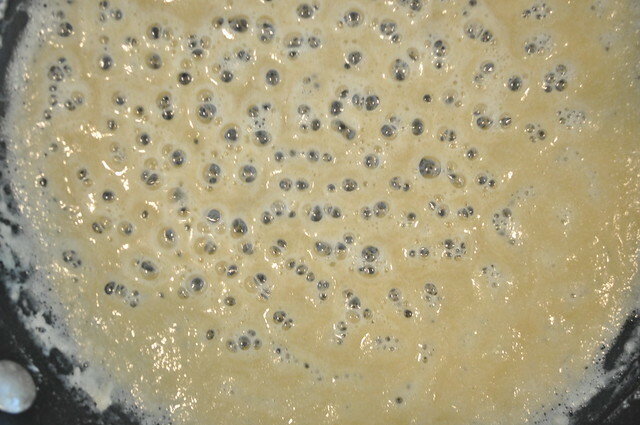 Butter and flour are bubbling and ready for milk. 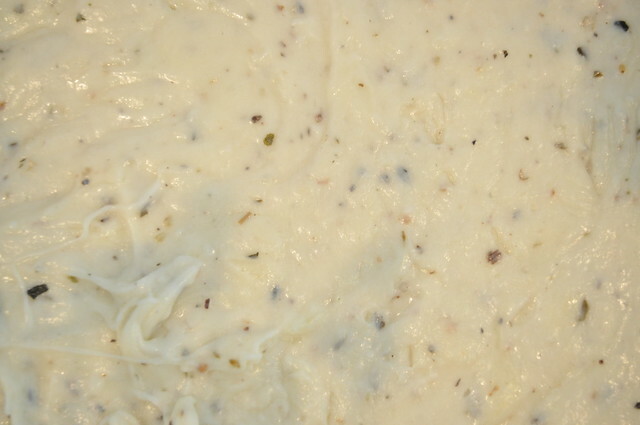 Sauce is creamy, cheesy and seasoned…ready for the rest. Add the noodles with a gentle stir. Place them in the buttered pan, then into the oven. 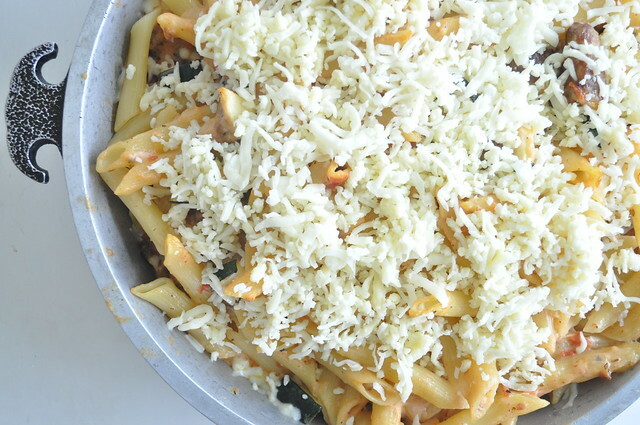 Add cheese once it’s bubbly then heat until melted. Anyone else have the whole cooking for an army problem like me?